Greetings all my football lovin' fans and also my not so football lovin' fans! 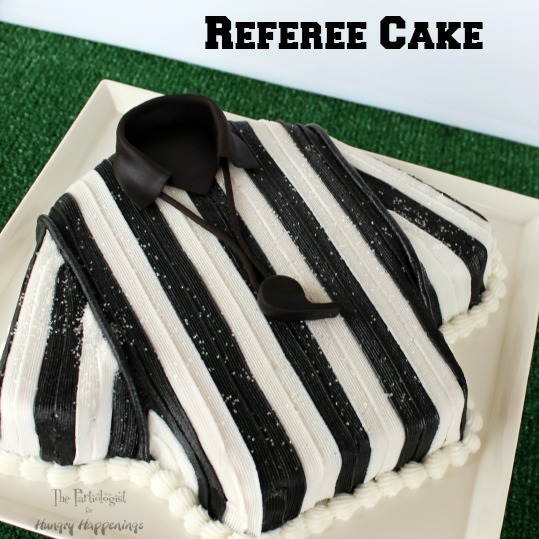 Today I'm over at Hungry Happenings sharing how to turn that Ugly Christmas Sweater cake into a Referee Shirt. Nothing ugly about it, unless we're talking about last years Super Bowl. There's no time out, in fact you might get a penalty if you don't head to Hungry Happenings for the game plan. You better hurry, your team is waiting! Than you, we can all agree with this referee!